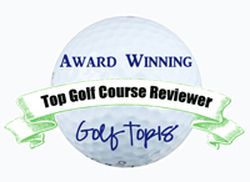 Head professional Brian Woodruff must educate players on how to get around The Trilogy course. 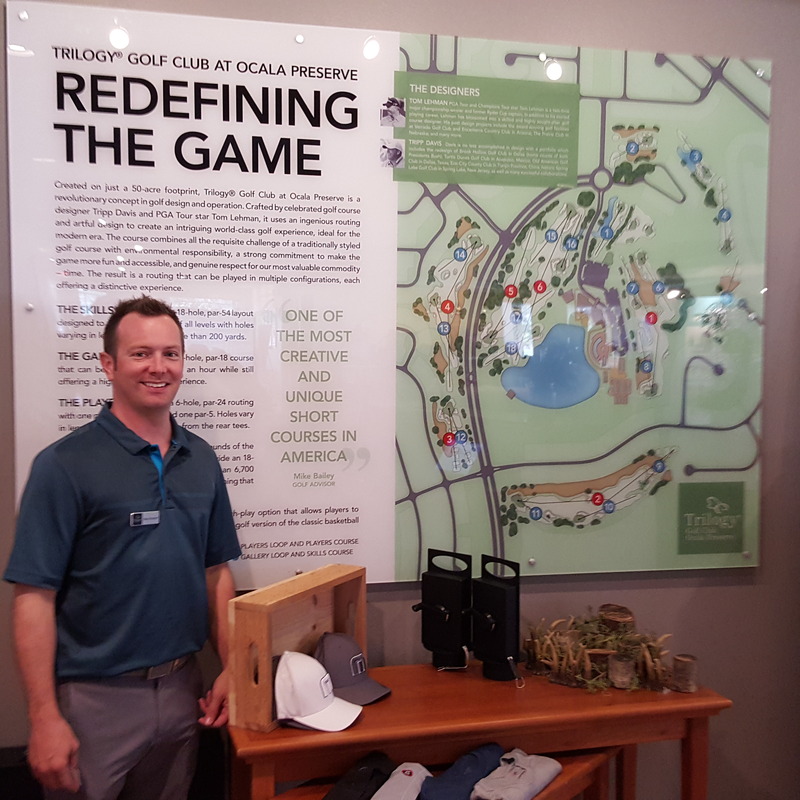 OCALA, Florida – The ingenuity of golf course architects never ceases to amaze me, but Tom Lehman – a player first and designer a distant second – has outdone all his architectural counterparts for the time being. Lehman — a two-time major championship winner, former Ryder Cup captain and a regular on the Champions Tour – has unveiled a radical new design. 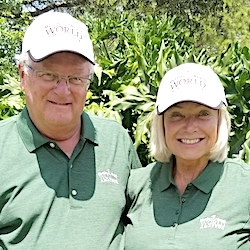 Working with Tripp Davis, an architect with roots in Oklahoma, Lehman created a full-fledged 18-hole course on just 50 acres. And, actually, the course is much more than that. It can be played as a six-hole par-3 layout, a six-hole executive course (one par-3, four par-4s and one par-5), an 18-hole par-54 short course or a full 18-hole par-72 layout that measures over 6,600 yards. 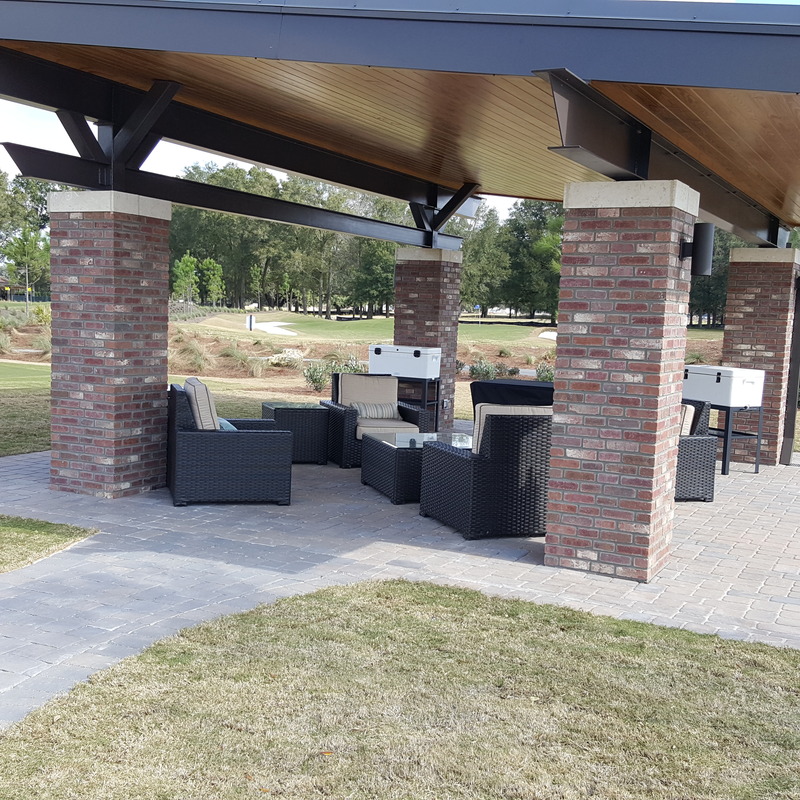 This mind-blowing creation is at the Trilogy Golf Club at Ocala Preserve in Florida, just three miles down the road from Golden Ocala Golf & Equestrian Club – home of the Coates Championship on the LPGA Tour. According to Brian Woodruff, who left a club job at Vistancia in Arizona to become The Trilogy’s head professional a month before the course’s February 2 grand opening, the highly innovative design was Lehman’s idea and Davis helped him bring it to fruition. You only get one tee marker per hole at The Trilogy. 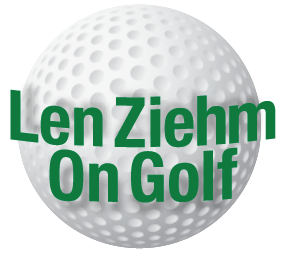 Lehman lists Verrado and Encanterra in Arizona as his two main golf architectural efforts and he also is planning an 18-holer at the Prairie Club in Nebraska. The Trilogy, though, is better proof that his creative juices are flowing big-time. Trilogy is actually four courses. Two are 18-holers. The short Skills is a par-54 with holes ranging from 63 to just over 200 yards and the Players will stretch over 6,600. It’s a par-72 and includes two tee complexes and two hole locations per hole. Also available are two six-hole loops – the Gallery which is a par-3 layout and the Players, which is a par-24 with one par-3, four par-4s and one par-5. Players with limited time will be accommodated on those holes. Mixed into all that is the possibility of a Horse Course, one in which players can have a match much like the classic version of a basketball game of the same name. The Horse Course isn’t completely new. The Prairie Club in Valentine, Neb., has a 10-hole version designed by Gil Hanse, architect of the Olympic Games venue in Brazil, and Geoff Shackelford. I’ve played it and found it lots of fun. Well, we’ll see. 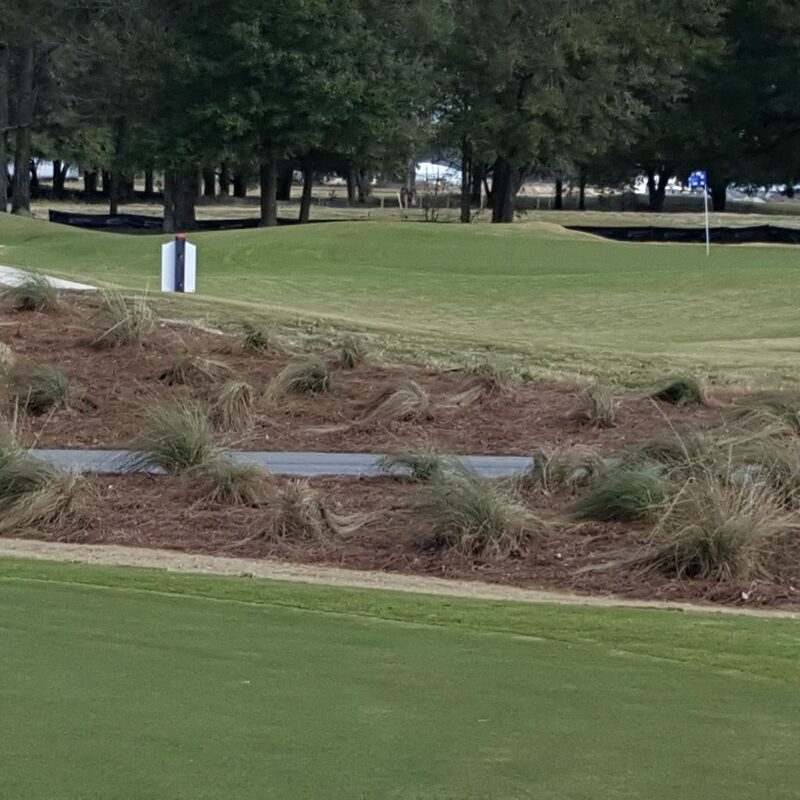 The course won’t be fully open until Feb. 12, when public players get their first crack at it. Then it’ll be a case of deciding what players can play which of the four courses and at what times. One thing that will help is the use of different colored flags. They’ll be blue on the Skills Course and red on the Players Course. 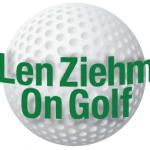 Even the look from the first tee is distinctive at Tom Lehman’s new course. For starters the courses will be open to members only Sunday to Thursday and the public can play Fridays and Saturdays. Members will pay $7 for use of the course for a whole day. The public rate will be $35 in the current tourist season and $20 out of season. The Trilogy will be a walking-only course with push carts and a Golf Skate Caddy available for those who don’t want to carry their own bag. One other unique thing of note: there’ll be only one tee marker per hole. A player can tee off within a yard in front, behind or to either side of the marker. Lehman wanted to create different lies, even from the tees. There’s a bit of history to this new concept. The land on which The Trilogy was built was once a golf course – an 18-holer called Ashley Farms. Its owners went bankrupt and the land sat idle for six years. Lehman and Davis built their course in nine months and it’ll eventually have a boathouse and clubhouse with all the amenities. The surrounding housing community is targeted for 1,700 homes, about 50 of which are in various stages of construction. I thought I’d seen everything when I walked over The Loop, a Tom Doak design in Roscommon, Mich., when it was in the early stages of construction. Planned as a second course to complement play at the adjoining Forest Dunes, The Loop layout enables players to go 18 holes in one direction on one day and then play 18 in the other direction the next. And I thought that was radical. As is the case with The Trilogy, I’ll have to see The Loop in operation before I can judge it. The Loop is expected to open this summer. Woodruff promised me a chance to play The Trilogy once its deemed ready for play. You can bet I’ll take him up on it. 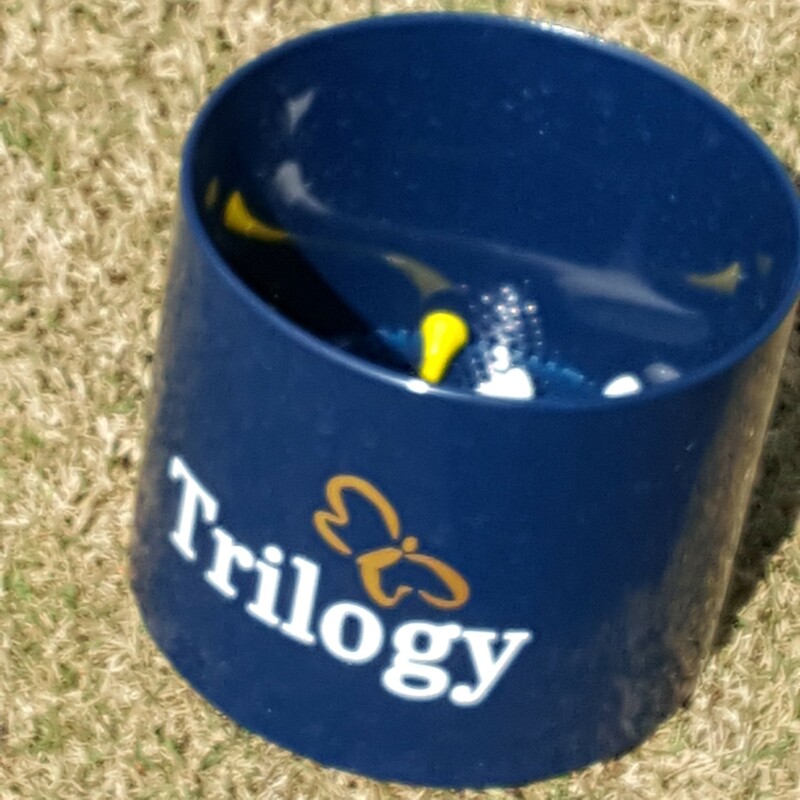 The scorecard at The Trilogy may look strange, but the course offers real golf challenges.